Two options for payment: Paypal (see link with each product), or send a check by postal mail with the downloadable order form at the bottom of this page. 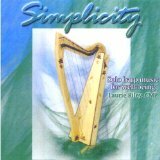 BEAUTIFUL MUSIC FOR THE DOUBLE STRUNG HARP – Laurie’s newest compostions, traditional Celtic, and Swedish tunes. Including: Island Girl, Music Box Waltz, All Through the Night, Cro Kintaile, Theme from Jupiter, Josephin’s Waltz, the Parting Glass, and many more! 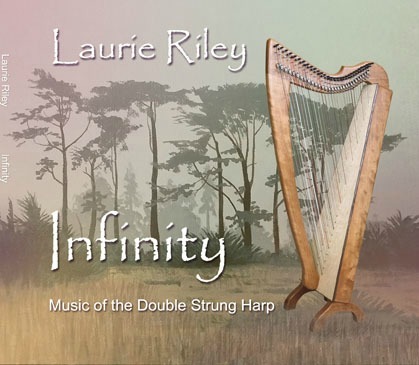 This is the first tune on the new CD “Infinity” (see above). 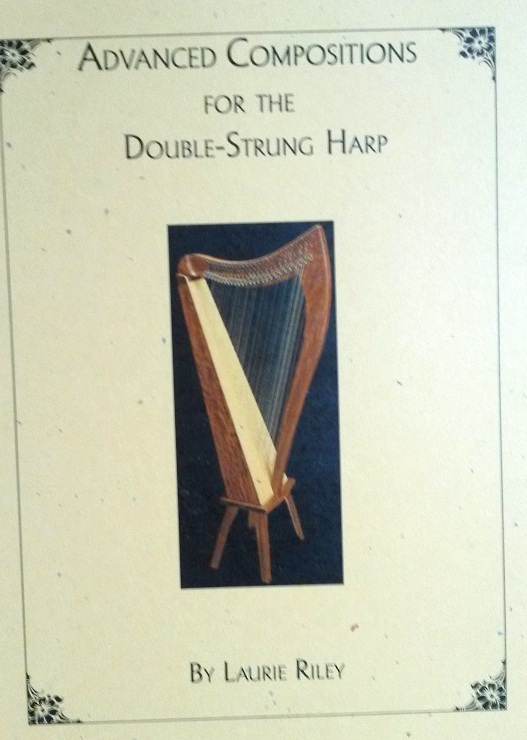 It is available in three versions: Intermediate lever harp, advanced lever harp, and double-strung harp. Pleae specif when ordering. A must-read for all musicians! This life story expresses the challenges and joys of becoming a successful professional musician, from earliest childhood influences, through detours and uncertainties, and through the career that has been Laurie’s lifelong passion. Formerly, Laurie wrote about a portion of her touring life in her books “All Roads Lead Home” and “More Roads Lead Home”, but this complete autobiography explores all the years previous and all the years since those were written, to contain a wealth of experiences and insights. Music as Therapy: Service vs. 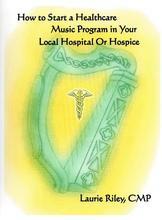 Performance; Using Modes and Other Scales; The Human Voice; Improvisational Music; Beneficial Resonant Frequencies; Entrainment; Psychoneuroimmunology/Audioanalgesia; Effects of Toning and Chant; Appropriate Instruments; Acoustic vs. Electric/Electronic Music; Healing Modalities Chart; Music in Medical Settings; Clinical Deportment and Ethics; Terminology of Healthcare Music …and much more! 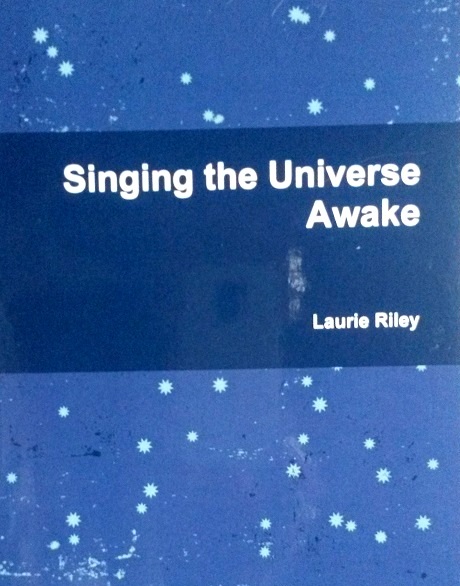 A Treatise on the amazing connections between music, science, cosmology, fractals, cymatics, and Pythagorean geometry, in language everyone can understand. 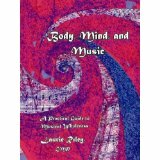 This book covers what makes certain music therapeutic, elements of composition, the categories of patients for whom music is helpful, and also contains information on certification training programs. For all musicians who feel the call to use their music in therapeutic settings. The book covers what makes certain music therapeutic, elements of composition, the categories of patients for whom music is helpful, and also contains information on certification training programs. 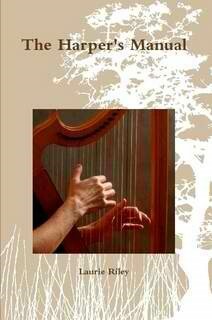 This book is for those who wish to bring therapeutic music into clinical settings and the process by which this is accomplished. 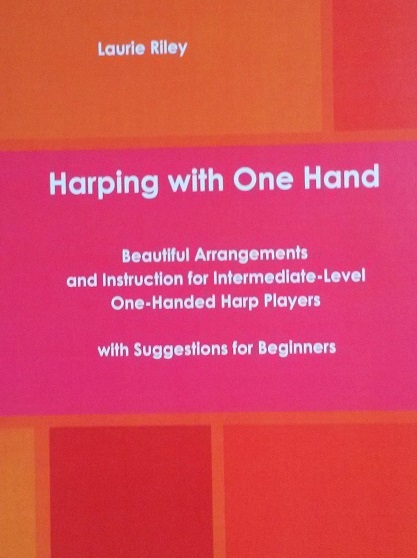 Includes: tuning, hand position diagrams and instruction, how to read two treble clefs, bracketing, echoing, arpeggios, rolled chords, overlapping chords, cross-overs and cross-unders, scales, exercises, polyrhythms, and lots of beginner tunes. 125 pages! Includes three of Laurie’s original compositions from her CD’s: Sedona Light, La Tierra Roja, and two versions of Saguaro (for solo and duet). 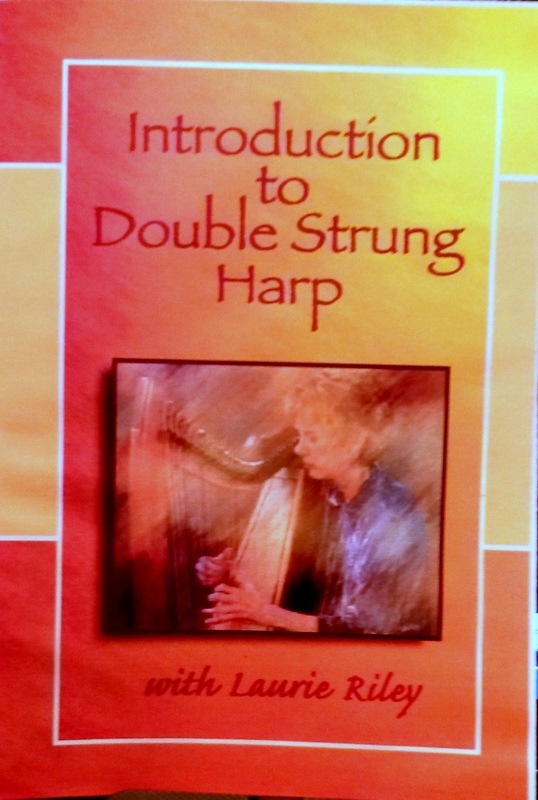 If You Want To Be A Harp Teacher…and much more! 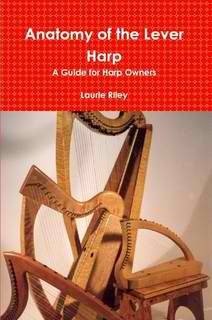 Contents: Parts of the Harp, Round backs, Square backs, Staved backs, The Soundboard (form and function), The Neck (form and function), The Pillar (form and function), Sound Holes (form and function), String Materials, String Ribs and String Shoes, Types of Wood and Other Materials, Types of Finishes,Types of Tuning Pins, Sharping Levers (types and uses), Regulation, Bridge Pins, Bases, Legs, Stools and Stands, Maintenance… and more! For a digital version to print yourself, please e-mail Laurie: laurie.riley@live.com. The price is the same but without postage costs. In good instrumental music there is much more going on than just the notes and the rhythm; the musician creates an image through music, letting it tell a story that affects the emotions of the listener. 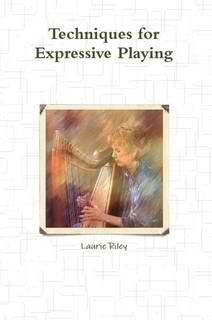 This is musical expression.Subjects in this book include: Making the Most of Your Skill Level Endorphins, Resonance, and Intention Tone Manipulation Expressive Imagery Expression Without Fear … and much more! each tune is offered in several skill levels, to accommodate increases in your skill level as you work through the book. 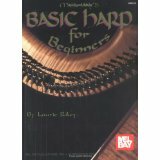 This book stands on its own, or makes a good companion to Basic Harp for Beginners. 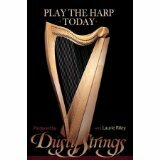 A soul-stirring collection of 28 Celtic tunes for intermediate players,arranged in authentic traditional style. 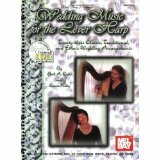 Wedding Music for the Lever Harp…with downloadable audio of the 23 tunes. Included are processionals, recessionals, interludes, and tunes suitable for receptions. Several cultures and styles are represented: Celtic, Classical, Swedish, and Jewish. All tunes are in the public domain. 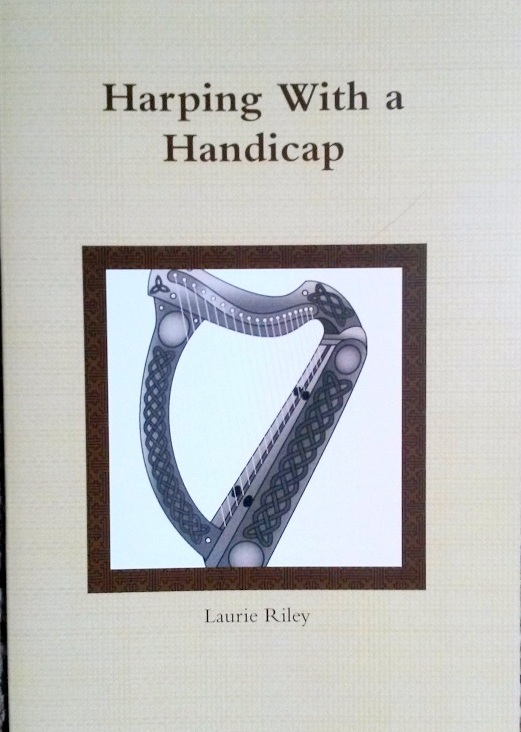 Includes ideas for: Harping with a Tremor Harping with Double Vision Harping with Dyslexia Harping With Impaired Depth Perception Harping Without Sight Harping with Chronic Pain Harping with Arthritis Harping with Scoliosis Harping with Fewer Fingers Harping with Weak Arms Harping with One Hand Harping with a Prosthesis Harping in a Wheelchair Harping in Bed Harping with Hearing Loss Harping with Tone Deafness Harping When You Can’t Keep a Beat Harping with Memory Loss Harping with Cerebral Palsy or MSFor a digital version to print yourself, please e-mail Laurie: laurie.riley@live.com. The price is the same but without postage costs. 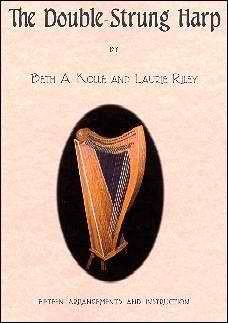 For those who have some experience on harp, this book offers information and ten arrangements of popular Celtic harp tunes, including Give Me Your Hand, Sidh Beag Sidh Mor, Eleanor Plunkett, Fany Poer, Chanter’s Tune, Kid on the Mountain, Morrison’s Jig, Atholl Highlanders, Glenlivet, and Carolan’s Concerto. All arrangements are complete as solos, and adaptable for ensemble playing. For a digital version to print yourself, please email Laurie: laurie.riley@live.com. The price is the same but you save postage costs. 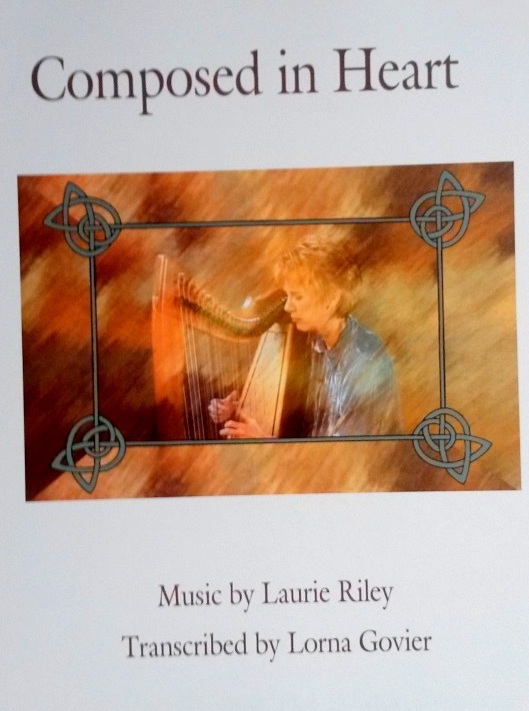 A beginner DVD with instructor Laurie Riley. A few hours spent with this DVD will have you making beautiful music. Being a creative musician is within reach. No sheet music required! Techniques that take your playing beyond predictability and into the realm of exciting! Explains the secrets of playing in traditional Celtic styles. Includes ornamentation, rhythms, drones, intervals and much more. 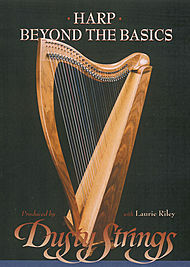 The double-strung harp provides nearly unlimited possibilities in technique, style, and sound, expanding the range of application of the harp. In this video, you will explore the basic principles and techniques to get you started. 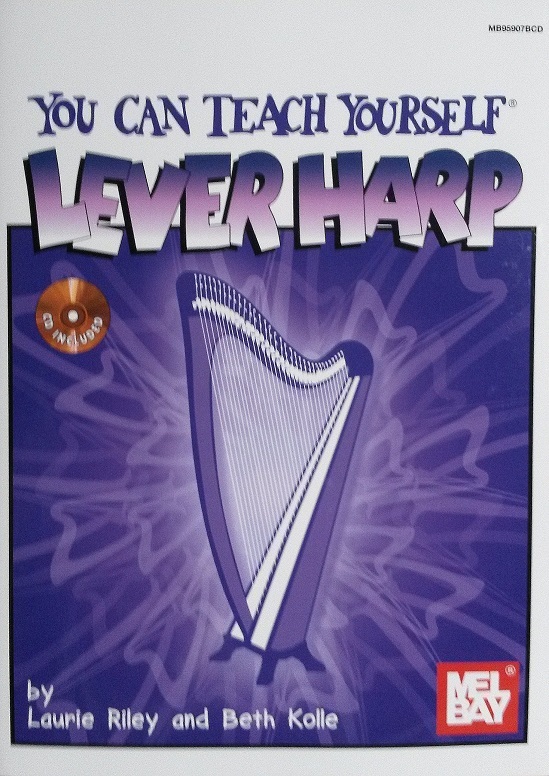 (This DVD assumes you have some harp playing experience. 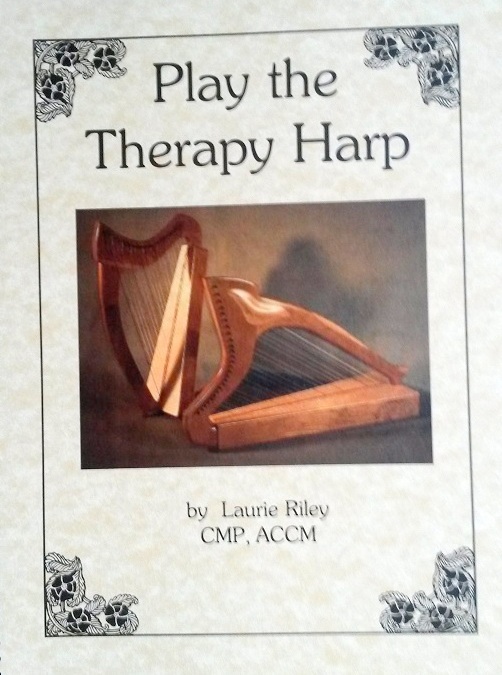 If you have never played a harp before, you should use the Play the Harp Today video first, then move onto this one. 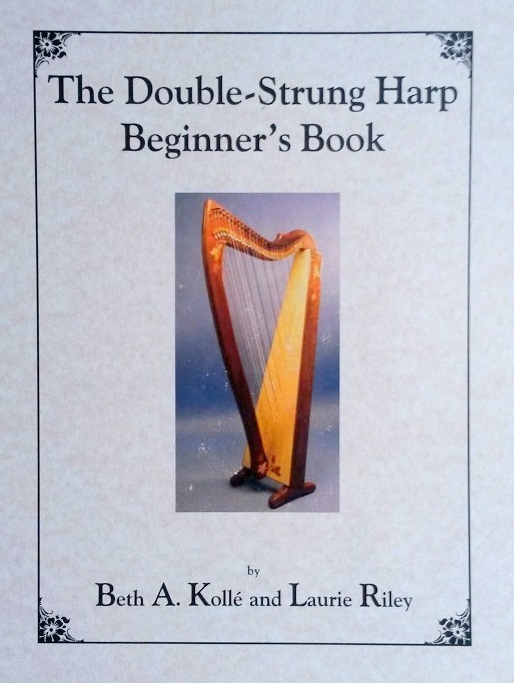 You can start with a double-strung as your first harp) On the double-strung harp, you will enjoy the freedom of a broader range of movement for each hand, new rhythmic abilities, and being able to make one harp sound like two. PLEASE NOTE: This is the same video that you can watch on my You Tube channel. 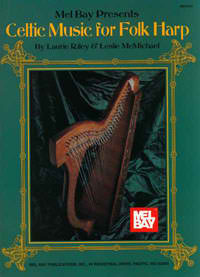 Laurie Riley and her former partner Michael MacBean were known as the “dynamic duo” of the harp world between 1987 and 1997. Familiar and new tunes played in a style appropriate for relaxation and for medical environments. The arrangements are simple and meditative. If you don’t wish to use PayPal, you may send a check with this order form. Please copy and paste this form to your own computer, then print it. Hi Sherry, yes I will have those books at Somerset but in limited supply, so it’s a good idea to get to my booth early! Thanks for asking! I’ve been looking for Flowers of Edinburgh, it looks like there is an upcoming double CD set that includes music from that album. When will it be available? The new compilation in conjunction with my newest recording will be available in a few months. However, I may still have soem Flowers of Edinburgh CDs available. Email me at laurie@laurieriley.com .